Continuing on the theme of Swedish pastry classics, biskvier are definitely on my top list of favourite bake goods ever. You’ll find these in most bakeries and cafés in Sweden, though they’ll rarely be vegan, which is why I whipped up some home made vegan biskvier. 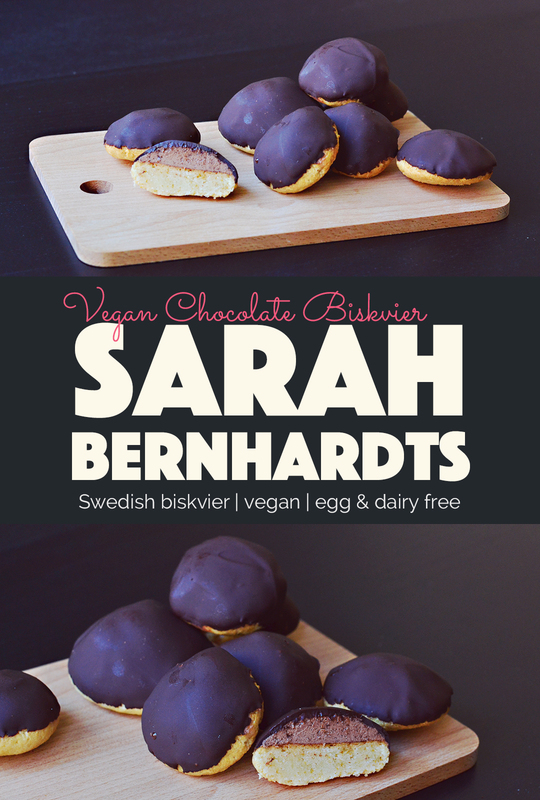 Some of you may look at these and think I’m making up some funny name for these calling them vegan biskvier, clearly those are Sarah Bernhardts. Biskvier and Sarah Bernhardts may look identical, but they are actually not the same thing. 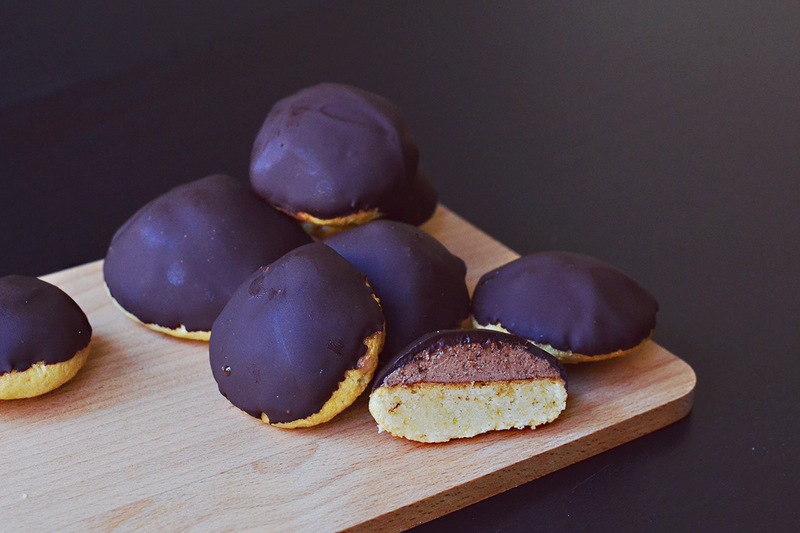 You see, biskvier are almond cookies, topped with buttercream filling and coated with chocolate. While Sarah Bernhardts are the same, but filled with a chocolate truffle cream. 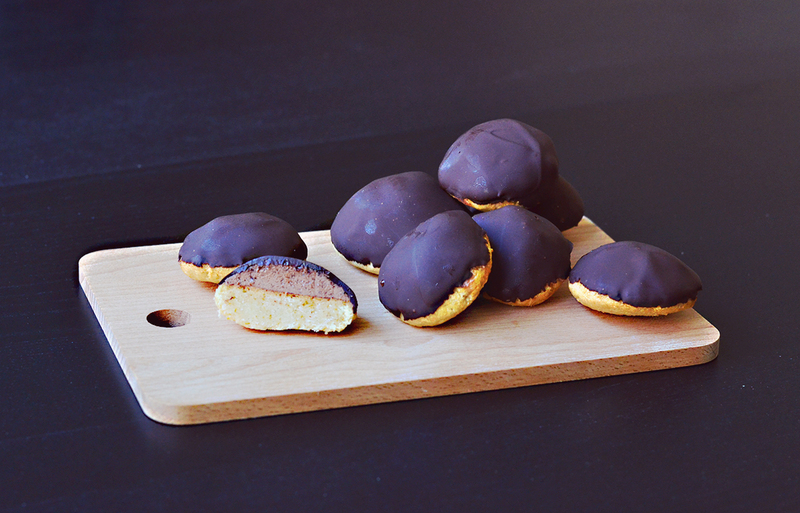 That makes the cookies in this post, which are filled with buttercream… you got it – biskvier. That said, I’m giving Sarah Bernhardts a little mention in the title of this post as well since I know most english speaking folks will only know them as that. 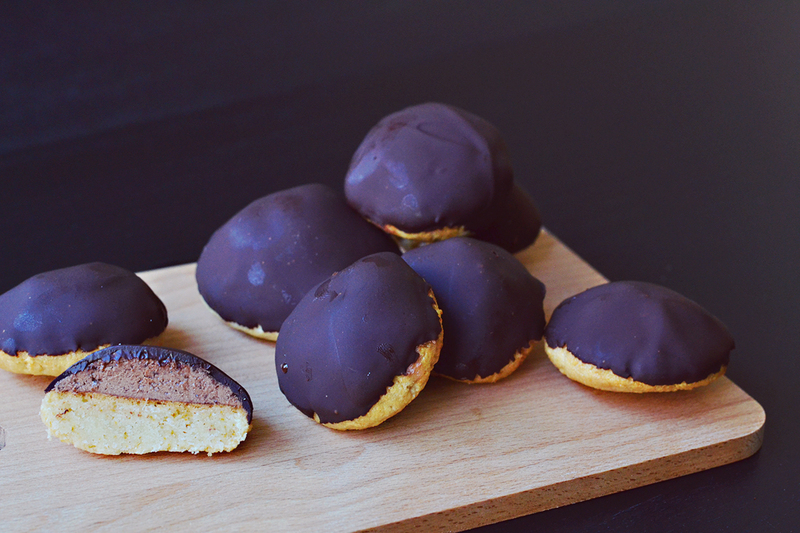 Regardless of what you call them, these cookies are melt-in-your-mouth delicious so I suggest you snap to it and make yourself some of these vegan biskvier asap and then call them whatever you want. Whip the butter, powdered sugar, and vanilla to a smooth batter with an electric beater. Melt the chocolate and allow to cool slightly. Then slowly pour it into the buttercream batter while whipping. Melt the chocolate for coating and allow to cool slightly. Remove the cookies from the freezer and carefully dip each top into the melted chocolate to cover the buttercream. I got a couple of them for mother’s day and they sure were decadently delicious!